Sorry that’s suppose to be sugarplums! 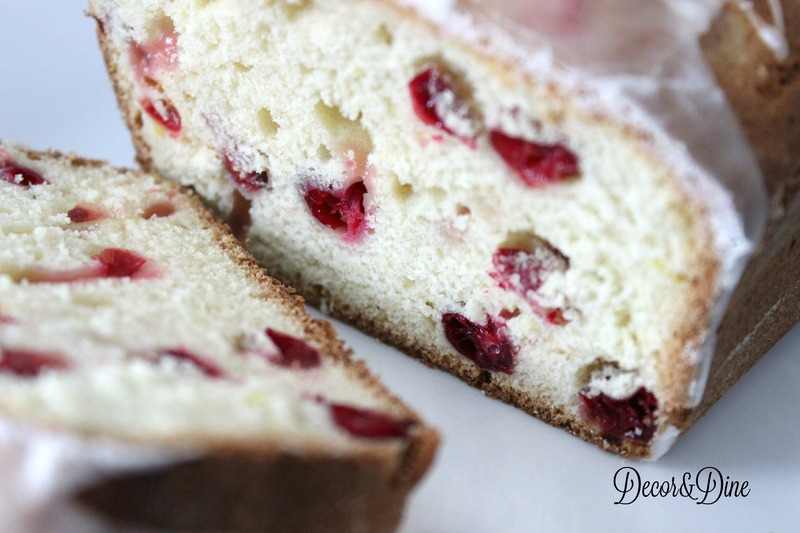 I prefer cranberries…cranberries in my cookies, biscotti, cakes, and cranberry sauce on my turkey! 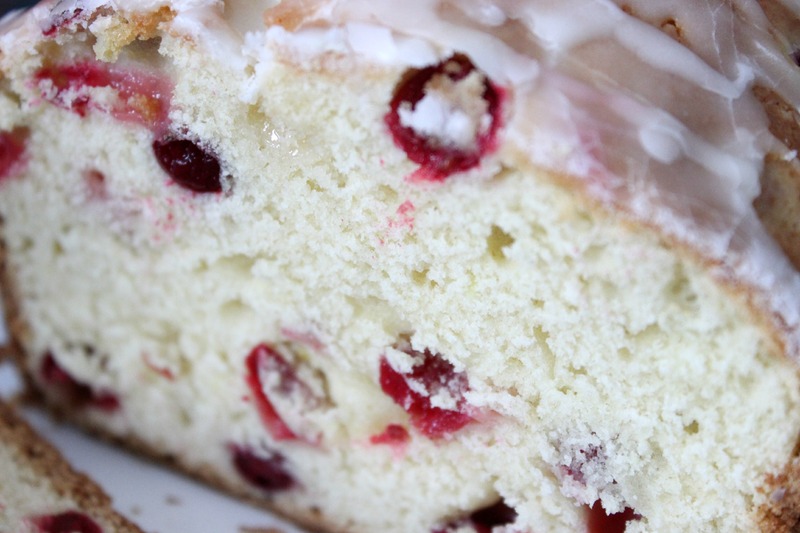 Oh and let’s not forget all the cranberries for decorating purposes…we’ll leave that for another day. 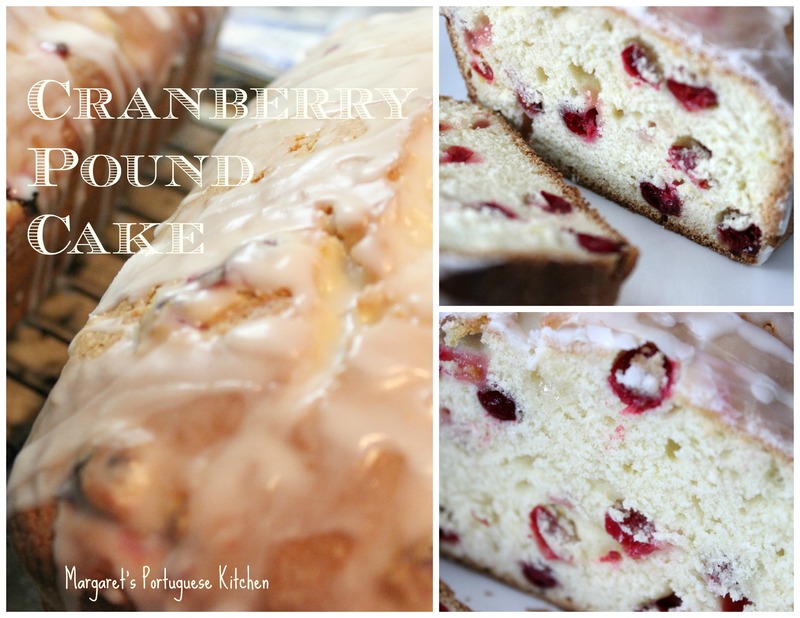 Time to discuss this wonderful Cranberry Orange Pound cake! 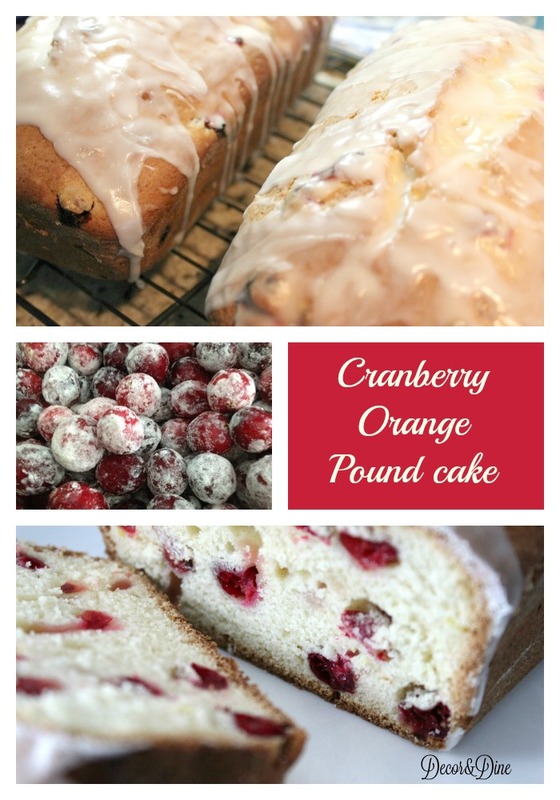 I made this Cranberry Orange Pound Cake for the first time last year and it was an instant hit! 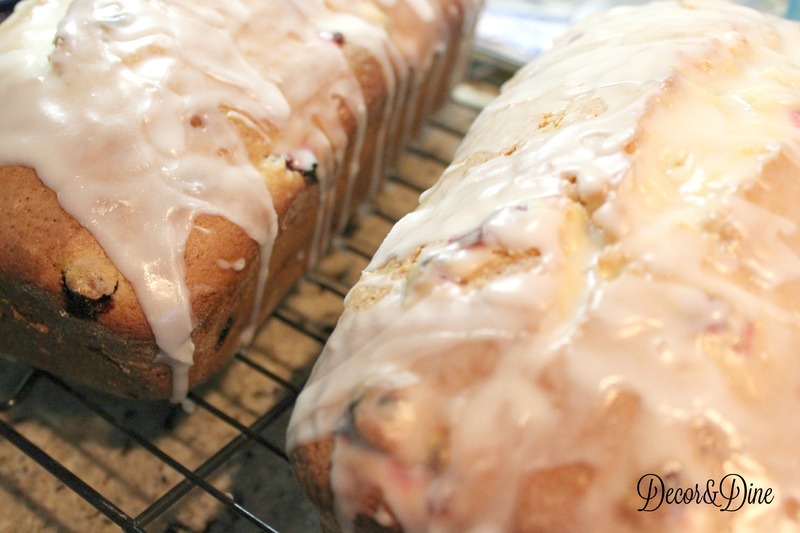 Based on Azorean Green Bean’s Blueberry cake recipe (another favorite at our house). You may want to make a few extra to give to family and friends. Preheat oven to 350 degrees F, grease and flour 2 9×5 inch loaf pans. In a separate bowl mix together flour, salt and baking powder and set aside. In a large bowl beat the butter and sugar until creamy. Beat in the eggs and then the milk. Slowly add the flour into the butter mixture and beat until well combined. Finally, stir in the cranberries and the orange zest using a wooden spoon or spatula. For the glaze: Whisk together 1 cup of confectioners sugar with 1/4 tsp of vanilla and some orange juice, just enough to get the consistency you like. Thanks Christine, it’s perfect for this time of the year.